Ontario, Canada – January 21, 2019 – MAG Aerospace has been providing air services in Canada since 1950. With the primary focus in wildfire suppression and air charter markets, MAG Canada has been flying through the Far North communities for over 40 years. These services include wildfire suppression, but MAG has established itself as a leader in court transport through the harsh conditions of Ontario. Currently owned and operated by MAG, the King Air platform was added to the fleet in 1985 to address increasing customer service demands and enhanced safety standards. 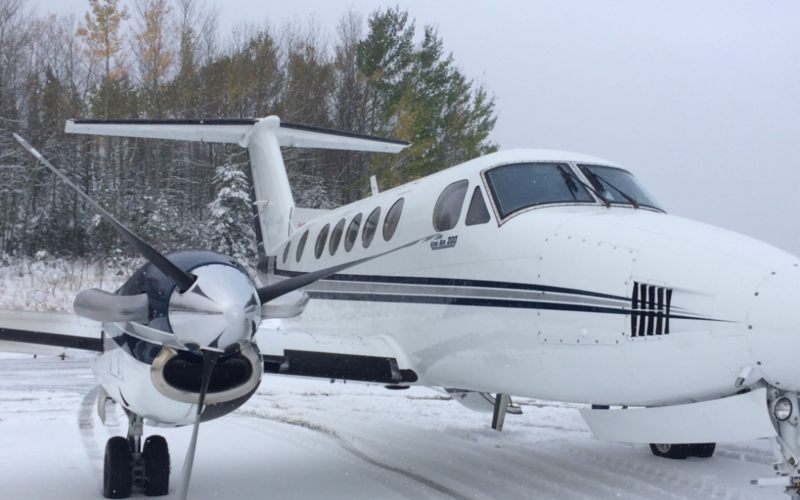 Since the introduction of the King Air, MAG Canada has flown over 30,000 hours and travelled over 8 million miles with 0 accidents in the field. This has helped to establish MAG as the primary supplier of air charter services for court related activity in Northwestern Ontario. To operate in gravel and snow-covered runways in year-round operations, it takes a level of expertise and care that MAG has practiced for over 50 years. With an ever-evolving fleet of operations that has the ability to be successful in all climates, MAG hopes to deliver court transport and air charter services to other Far North communities throughout North America. MAG Aerospace, headquartered in Fairfax, Virginia, is a leader in providing and enabling real-time situational awareness to help its customers make the world smaller and safer. MAG delivers full spectrum ISR Services (operations, training, and technical services) and other specialty aviation to federal, international, civilian, and commercial customers around the world. MAG’s team of 1,000+ professionals operate 200+ manned and unmanned special mission aircraft, delivering ~100,000 flight hours annually on six continents in support of its customers’ missions. For more information on MAG Aerospace, please visit www.magaero.com.